MainAll NewsEuropeDid CNN stage 'Muslim Mothers' protest after London attack? CNN accused of 'fake news' after recordings show reporter directing anti-ISIS Muslim protesters near scene of London attack. Did a major TV news outlet fake a protest to create a news story and shape the narrative on terrorism and immigration? Following Sunday night’s combination ramming and stabbing attack on London Bridge which left 7 dead and 48 wounded, CNN aired the following clip Monday afternoon, showing what purports to be a protest by “Muslim Mothers”, about a dozen or so local young Muslims demonstrating against the ISIS terror group. The reporter narrating the segment is Becky Anderson an Abu Dhabi-based CNN news anchor, who praises the gathering as “a wonderful scene”. But footage recorded just behind CNN’s cameras cast some doubt as to the veracity of Anderon’s coverage of the alleged protest. The behind-the-scenes footage, which quickly went viral, shows Anderson calling over the “Muslim Mothers” and positioning them in front of the cameras. Criticism of what some dubbed CNN’s “fake news” or the “fake protest” spread like wildfire. According to the original uploader of the behind-the-scenes clip, Mark Antro, CNN not only positioned the demonstrators in front of the cameras for a better shot, but also brought in minority police officers for the filming of the clip. 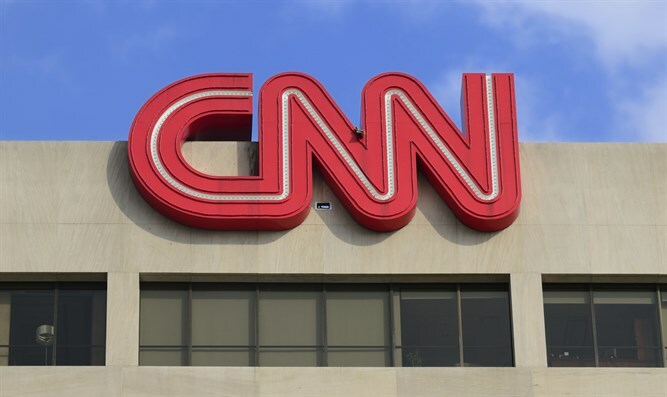 CNN has claimed Antro’s footage is misleading, telling Mediaite that the demonstrators were simply allowed through a police cordon at the CNN crew’s request, and that the demonstration was quite real.